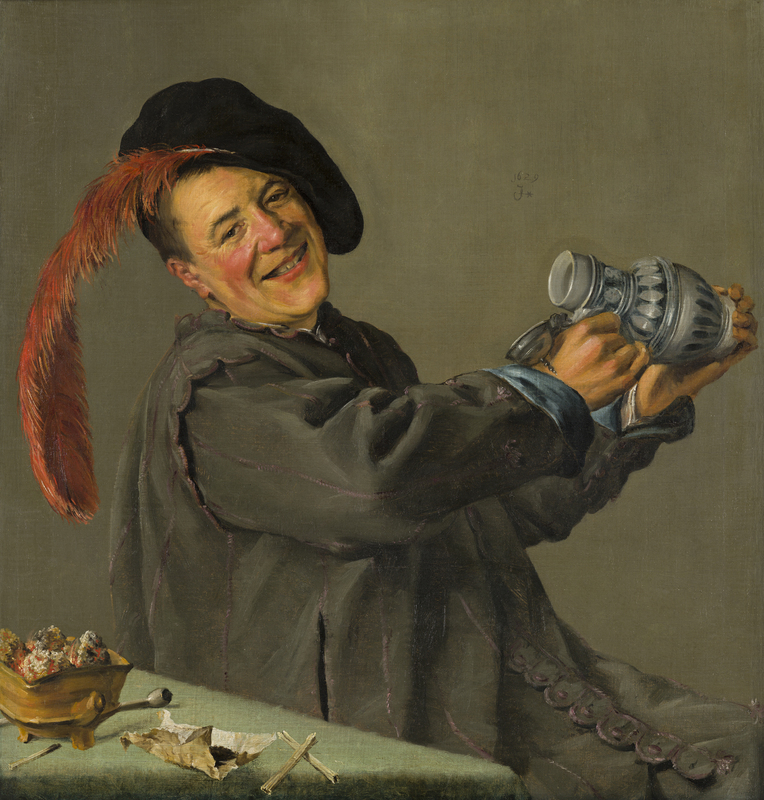 A merry tippler smiles at the viewer, lifting his empty beer jug. He is Pekelharing, the comic figure who entertains guests at fairs and Shrove Tuesday feasts with his sharp and witty remarks. Pekelharing (‘salted herring’) is a serious drinker, whose throat is always dry. That is, if we believe the verse from a print by Jonas Suyderhoef which celebrates his love for alcohol: Siet Monsieur Peeckelhaering an, Hy pryst een frisse volle kan, En hout het met de vogte back, Dat doet sijn keel is altyt brack.’ The table in front of him is filled with all sorts of smoking paraphernalia. Also back in the 17th century, excessive smoking and drinking was considered a foolish habit. Some things never change.